A job as a Certified Nurse Assistant is physically demanding but personally fulfilling, as you’ll care for patients or residents at their time of greatest need. 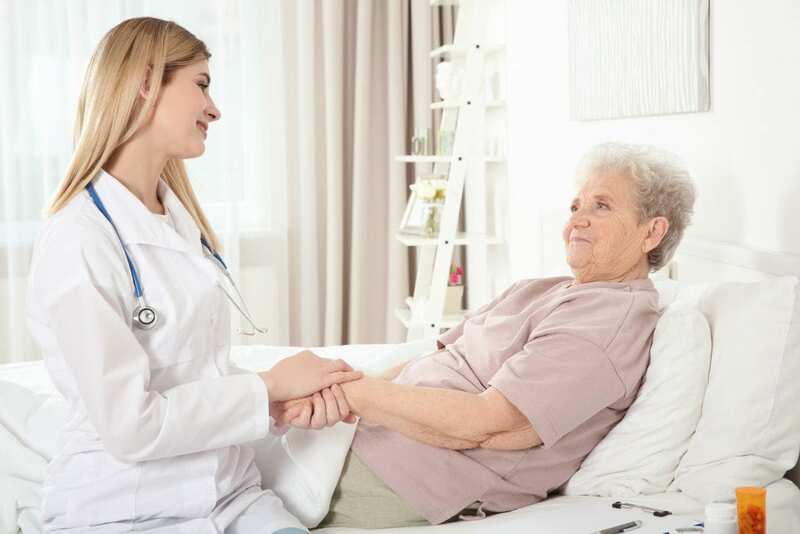 CNAs work under the direction of a licensed nurse to provide direct care for the sick, disabled, and elderly. They measure and record vital signs, move patients from the bed to wheelchair, make beds, bathe, dress, and feed patients, and answer call lights. Additional responsibilities include assisting with rehabilitative treatments, observing and monitoring patients and reporting concerns to nurses and physicians, and meeting patients’ emotional and social needs. According to the Bureau of Labor Statistics (BLS), employment for CNAs is expected to grow 11 percent between 2016 and 2026, faster than the average for all occupations. The need for caregivers to care for the growing elderly population is a primary factor in the projected employment growth. As a prospective CNA, you must complete a state-approved training program and pass the state certification exam. CNA certification is required to work in Medicaid/Medicare funded long-term care facilities. It may also be required for enrolling in some health care programs, such as registered nursing. The Nurse Assistant Training program at GFACTE includes classroom lectures and clinical experiences to prepare students for employment as a certified nursing assistant. Graduates are eligible to take the nurse aide competency exam for certification by the North Dakota Board of Nursing. The curriculum covers basic nursing skills, vital signs, the role and responsibilities of a nursing assistant, safety and emergency procedures, and hospice care among other topics. Practical training in the school’s lab and a skilled nursing facility, as required by the state board, will take place under the supervision of a licensed nurse. Interested persons must be in the 11th to 12th grades and be 16 years or older to participate in the clinical experience. Valley Memorial Homes gives adults an exciting opportunity to become a member of their team. The paid nursing assistant training includes classroom lectures and clinical experiences to prepare students for the state exam to become a Certified Nursing Assistant. The program will cover the role and responsibilities of a nursing assistant, preventing the spread of infections, keeping patients safety, performing rehabilitative treatments, and assisting residents with bathing, dressing, eating, and mobility. Classes meet Monday through Friday from 8:00 am to 4:00 pm for one month. For the clinical phase of the program, students will meet from 5:45 am to 2:00 pm. Full attendance is essential for completing the class. Interested persons must submit a completed Valley Memorial Homes application and attend an interview – after staff reviews the application. Applicants must be at least 18 years old. During the class, students will earn $7.25 per hour. After completing the class, the salary will be $11.80 per hour and $15.13 per hour after obtaining Nurse Aide certification. Through the nursing assistant program at TrainND, adults have the opportunity to prepare for the delivery of compassionate care in acute and long-term care settings. Students have the option to take the course for credit or as a non-credit course. The non-credit option is available in face-to-face or online format. The traditional, face-to-face format can be completed in two weeks and includes lectures, lab, and clinical experiences. The online program is designed to be completed in 8 weeks and requires students to attend at least 16 hours of face-to-face labs (covered in two sessions) and 16 hours of clinical experiences (2 days). Online students will cover the lab and clinical requirements over the weekend. The program covers a total of 75 hours of intensive, personalized instruction. Students who want to take the course for college credit will earn at least four credits. The grade will be recorded on the student’s official college transcript. This option is available as a face-to-face option at Grand Forks Air Force Base. Labs and clinical experiences are offered at the Lake Region State College Nursing Education Center. Students are expected to attend all classes and complete TB testing and influenza vaccination.